LUDHIANA: A Hindu priest, P D Shukla, in saffron robes and a rudraksh mala in hand, was going around the mosque premises, asking people if they have had a proper meal. 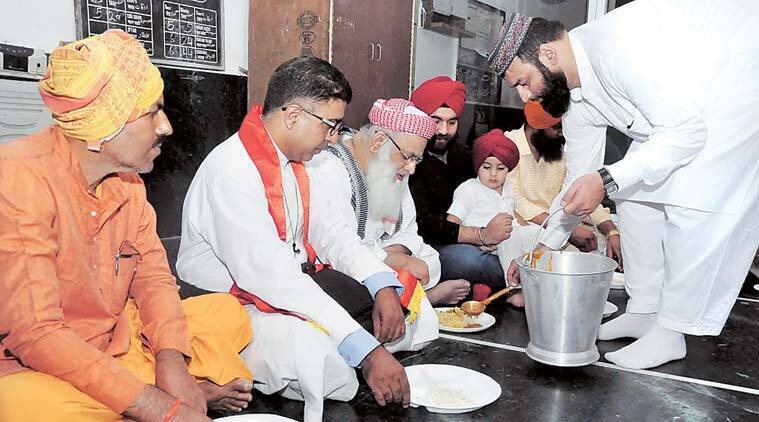 So was Manpreet Singh, a church pastor, as some Sikhs served food in the mosque’s verandah. The food was prepared in the community kitchen (langar) on the rooftop of the mosque. Close to 400 people — madrasa children, some Sikhs and labourers, too — were served food. “Hi Langar, Goodbye World Hunger,” read the banner at the entrance of the mosque, put up by Sikh Press Association (SPA) and Basics of Sikhi, who chose the mosque as the venue to celebrate International Langar Week. We want to spread the message of communal harmony as well as give a call to fight world hunger, said the representatives of the four communities.